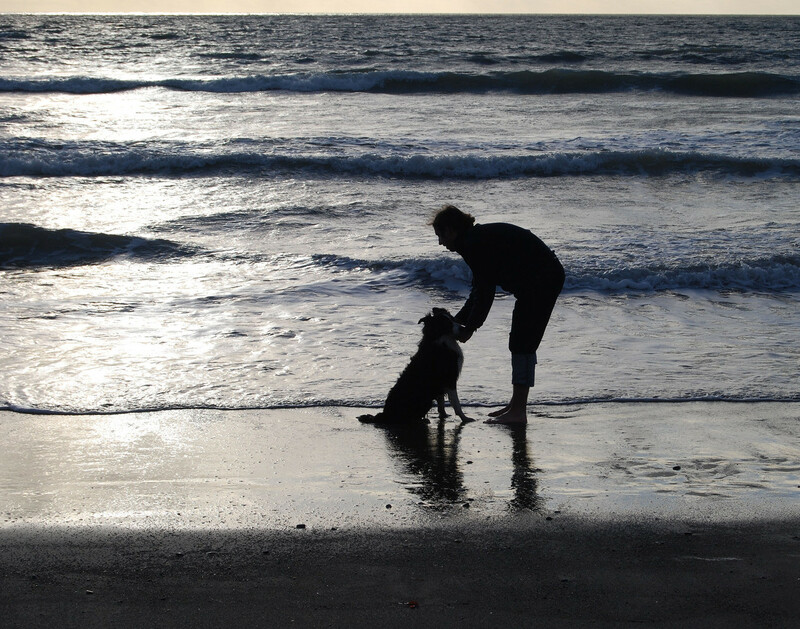 Guest blogger Marie Bruce shares her thoughts on the significance of losing a pet and some ways to cope with this loss. As a nation of pet lovers, with over 45% of households in the UK having some kind of pet, predominantly dogs and cats, the death of a pet can be a very upsetting event. Our pets become an integral part of the family and for some people, pets are their sole companion. This effectively means that the emotional investment we put into our pet/owner relationship is huge. For many people, a pet is like a child, hence the popular phrase fur baby. It was with some shock and surprise that I discovered a basic lack of empathy and understanding in society, when my own cat died when he was 18 years old. I’d had him for half my life and the loss was huge, but my tutor told me that my cat dying wasn’t a good enough reason to miss a class. I pointed out to him that I had had my cat for longer than some students had had their children and that if a child had died, he wouldn’t expect that student to be in to class the same day! Fortunately, as a grief counsellor I understand that a bereavement is a bereavement, regardless of whether the deceased had four legs or two. Both cause major emotional turbulence and such insensitivity from significant others can be difficult to cope with. The death of a much beloved pet can be just as traumatic as the death of any other loved one. It triggers the exact same grief process in the individual, yet it doesn’t trigger the same level of compassion in society. If a member of your family had died your boss would probably not expect you in to work for a few weeks, but this leniency is rarely extended to the death of a pet, even though such a loss is still classed as a bereavement and felt just as deeply. Sadly, this means that people frequently feel the need to hide their emotions, to choke down the hurt and do their best to get on with life as if nothing has changed. But the pain of loss is still present – it’s just that it goes unrecognised within our wider circle of colleagues and acquaintances. This is known as Disenfranchised Grief – which basically means that you are bereaved, but the bereavement isn’t being acknowledged and so you go through the grieving process quietly and in secret. It can be a lonely time. You might even be told “It’s just a dog” or “It was only a cat”. Again, this discounting of the relationship you had with your pet compounds the initial grief of loss, because now not only are you grieving for your pet, but you are forced to either hide that grief, or defend it. This complicates the natural grieving process and can make it more traumatic. Something else to watch out for are those well-meaning friends and family members who are trying to push you into getting a new pet – or they might even get one for you! Or you might decide that a new pet is just what you need. Be careful here though, because this is actually another form of complex grieving known as Replacement Grief, wherein the bereaved party feels the need to fill the void the deceased has left behind as quickly as possible. It’s an avoidance tactic and an unhealthy way of dealing with the primary grief of the initial loss. A much healthier way to move forward is to sit with the emotional loss for a time and to allow the feeling of grief to pass through you. Lighting a candle and spending a few moments each day thinking of your pet can be helpful, especially if you do this at a time when you would normally be seeing to your pet’s needs – so for example, when you would usually be taking your dog for a walk in the evenings. Another way to move positively through pet bereavement is to get involved in an animal charity in some way. You could set aside the money you would normally spend on pet food and donate it to Dogs’ Trust or Cats Protection. Or maybe volunteer as a foster-carer for cats or dogs that are waiting to be safely rehomed. This will give you the animal companionship you miss, but as a foster-carer, you won’t be able to get too attached emotionally. It will be a temporary friendship, wherein you and the animal can be of service to one another, so it is mutually beneficial. If you are still having difficulty grieving for your pet, then pet bereavement counselling is always another option, and a trained pet grief counsellor will be able to help you work through your emotions with regard to the loss of your pet. Most of all, try to find comfort in the fact that you were your pet’s life and you were truly blessed to have found each other. Marie Bruce is a qualified psychotherapist and a fully trained grief counsellor, including pet bereavement. She specialises in Grief and Loss counselling; PTSD counselling; Military counselling; and Life Coaching.